I just love making premmie hats at the moment, they are so delicate and cute! 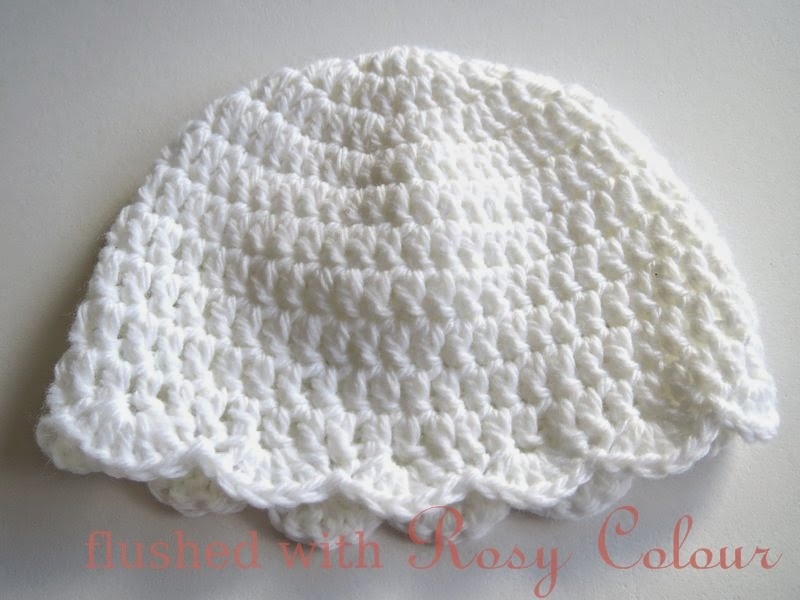 Here is another one with a scallop edge, this time in white. I hope to add this to a collection of hats I hope to donate to the ward where my son spent the 1st 2 months of his life.